Fair enough after a month or two I got myself familiarized with it and could get a semi-good workflow for managing my library and editing Photos. 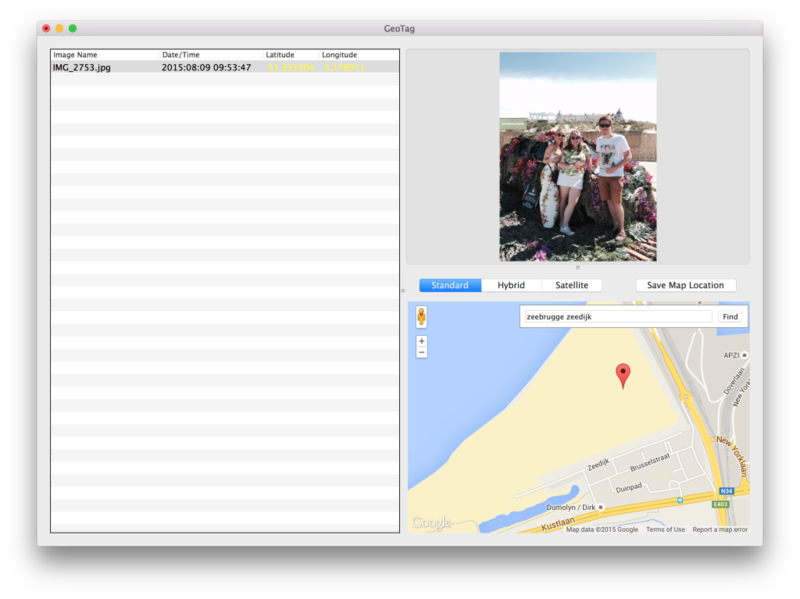 But the one thing I couldn't find was how to add a location to an album like you could before in iPhoto. 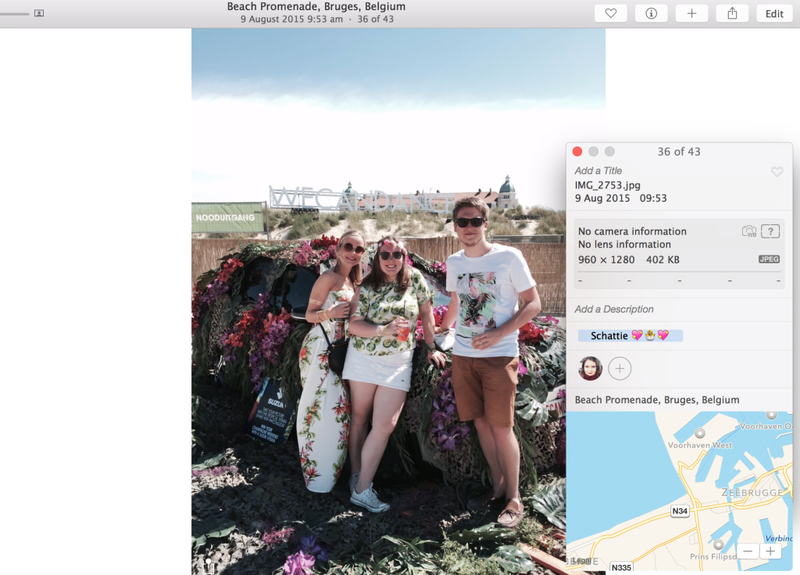 In iPhoto you could select an event, click the info panel and add it at the bottom with a visual display of a map to guide you. Photos had no such thing when I looked for it. Well I thought 'okay I certainly had to be looking over it' and set out to call AppleCare to have them tell me where I could add a location. 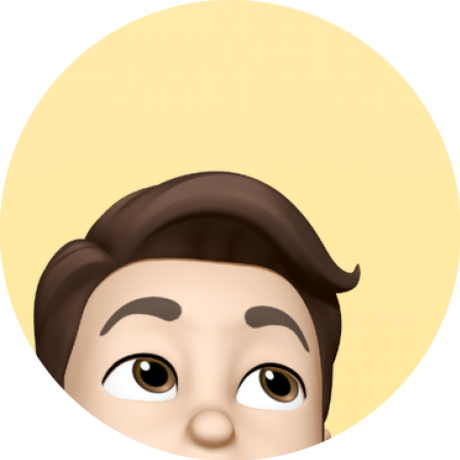 So this morning to my surprise one of the employees at AppleSupport told me the feature was no longer present in Photos, and he was as surprised as I was to find that out. Photos could only display location metadata after import (like with when importing from your iPhone), not after they'd already been imported (like with my DSLR). Anyway removing this feature was rather stupid, but I really wanted to be able to look at locations where I shot pictures once in a while so I searched for apps which let me add the data before import. There was exiftool but, even though I'm experienced with the command line, was hard to work with and I had to get log format files to add location. Luckily I found GeoTag 3 which at first glance seemed way more intuitive. I downloaded it from the site and decided to try it out. Two days ago I went to WeCanDance Festival and wanted to get location for a photo I took there. I dragged the photo from Photos to my desktop and opened that photo in GeoTag. It turned out to be exactly what I was looking for. The photo opened and at the bottom I was able to use the Google Maps API to pinpoint a lat/long location and save it to the photo's EXIF data. Removing the photo from Photos and reimporting the one on the desktop in the Album worked and sure enough when I checked out the Info panel for that photo it showed the correct location! So it seems this is a working and easy solution for Apple's stunningly stupid decision to remove this feature from Photos. 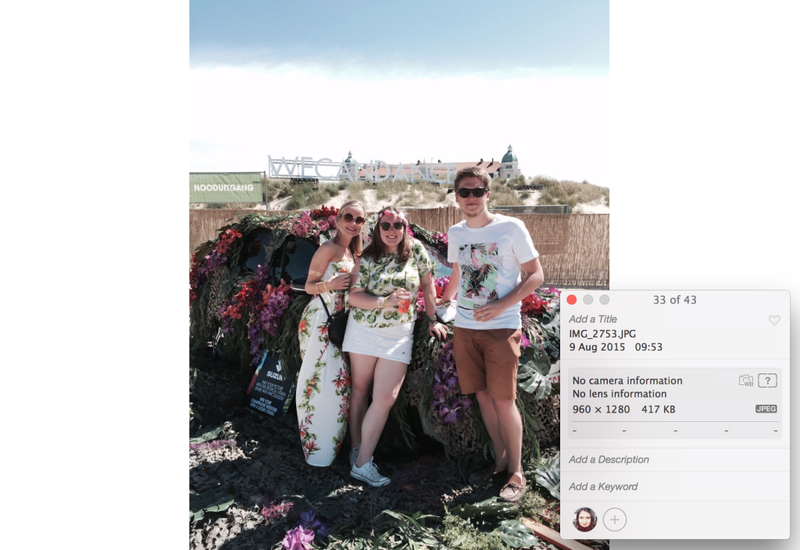 While this method works, I hope that Apple brings it back in some future version of Photos. Update: I submitted GeoTag to Cask so you can install it with homebrew Cask.